Air Asia Promos 2019 to 2020: 2015 Piso Fare by AirAsia Zest! 2015 Piso Fare by AirAsia Zest! 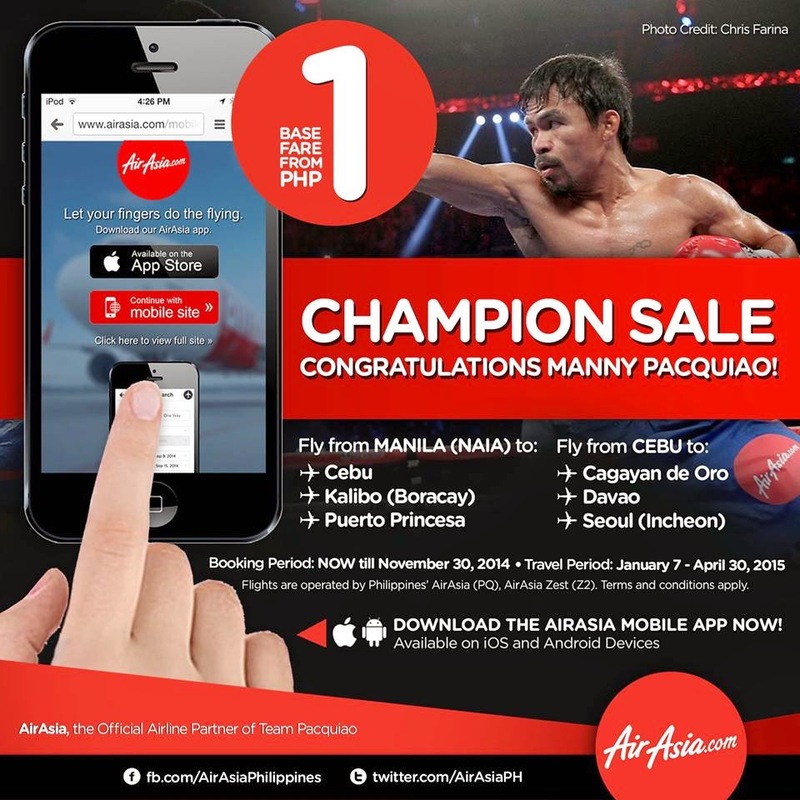 Piso Fare Promo 2015: Let’s celebrate with our People’s Champ, Manny ‘Pacman’ Pacquiao and enjoy our Champion Sale! Fly with our PISO SALE to/from Cebu, Davao and Cagayan De Oro! Or fly to/from Manila, Kalibo, Cebu, Kuala Lumpur, Macau and many more! Don’t dare miss this Champion Sale to start of your 2015 with your dream travel destination! Share this with your family & friends!